You broke my heart, Rusty Rice. I thought I’d make enchiladas this weekend to use up some grated cheese and canned chicken, but we were out of tortillas. No problem- I’d make my own. It’s not too difficult: a couple of cups of flour, some baking powder, some salt, a blob of Crisco and some water. 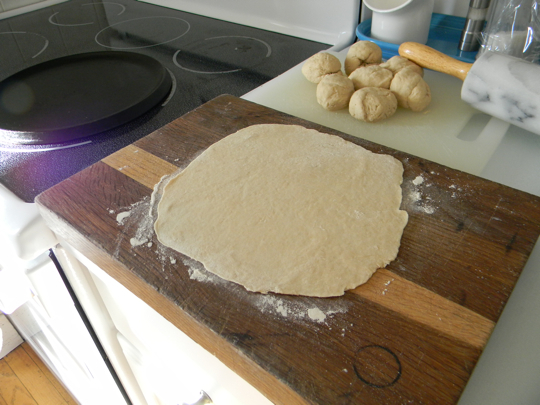 Stir, knead, let rest, then roll into oblongs and fry. If I was going to have a Mexican restaurant, I’d call it ‘Oblong’. You know it’s authentic when it’s Oblong! 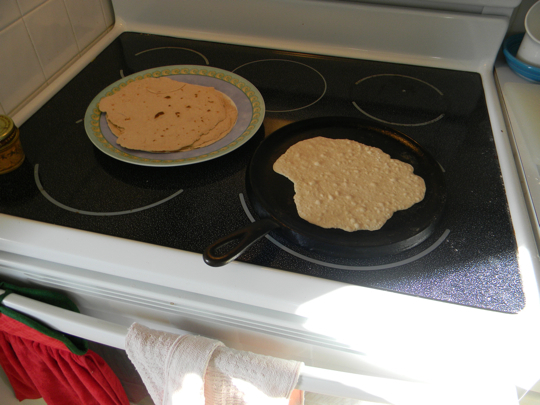 Making tortillas always reminds me of kindergarten. Our teacher aide was Hispanic, and one time she made tortillas with us and offered them with jam or butter, and my addiction to a warm tortilla with melting butter was born. The traitor! After all we had been through during out crime-fighting weeks! I didn’t know what to do with all the roiling emotions inside, so I did what any jilted woman would do. At recess, I punched him in the stomach. …or you could just drive to the grocery store and get some tortillas. Maybe Rusty thought you made things unnecessarily complicated. That is the funniest thing I’ve read in a long time. So how were the tortillas? They were quite good. I would definitely eat them again. If they are eaten—I didn’t know they could be re-eaten. If you see him, tell him I’m sorry things didn’t work out with Kathy.